I thought my toilet was gurgling again. Imagine, if Clinton had never cancelled the super collider in Waxahachie, Tx.,we would have found the particle pious eons ago. That's a long time for us kids. Huzza!! 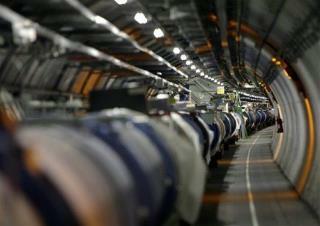 Good to see CERN back up and running. Research and advancements in Science are always desirable in the name of knowledge.